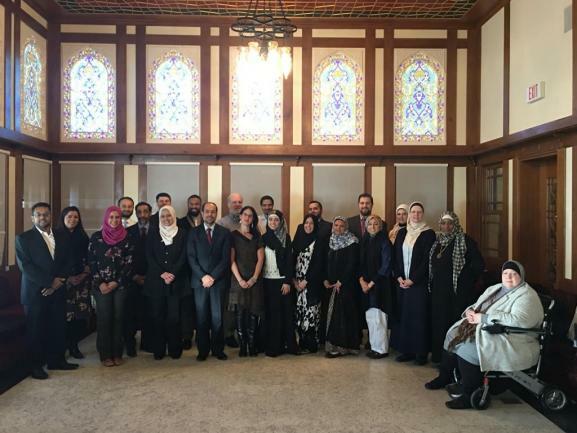 In January 2018, the Center for Public & Nonprofit Leadership (CPNL) partnered with the Council on American-Islamic Relations (CAIR) to build financial sustainability, develop human talent, and create strong governance and management structures for its chapters in communities across the country. CAIR is the nation’s largest Muslim civil liberties organization. The grassroots civil rights and advocacy group focuses on the immediacy of daily crises, at the same time building lasting support systems for individuals who want to bridge cultural, racial and religious divides in their communities. CAIR’s quarterly report indicates that the number of hate crimes in the first half of 2017 spiked 91 percent compared to the same period in 2016, which was the worst year for such anti-Muslim incidents since the civil rights organization began its current documenting system in 2013. In order to address the unprecedented demand and growth of CAIR chapters, the organization partnered with CPNL to provide a customized Leadership Development Program for 25 of its chapters across the country. CPNL’s 5-day program focused on helping participants develop high-impact nonprofit organizations and increase their leadership skills at the individual, organization and community levels. Participants learned from our faculty, as well as built their own community of practice where they can rely on each other for ongoing support.